Today we’re happy to announce the first release candidate of ASP.NET Core 2.1! 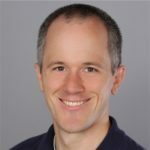 This release should be very close to the final stable release of ASP.NET Core 2.1 and includes primarily bug fixes and polish for the features that we shipped in earlier previews. This is a "go live" release that can be used in production with the understanding that you will need to update to the final stable release once it is available. Also, be sure to read about .NET Core 2.1.0-rc1 and Entity Framework Core 2.1.0-rc1. Customers using Visual Studio should also install Visual Studio 2017 Update 7 or Visual Studio for Mac 7.5. In the same file, remove any references to <DotNetCliToolReference> elements for any Microsoft.AspNetCore, Microsoft.VisualStudio, and Microsoft.EntityFrameworkCore packages. These tools are now deprecated and are replaced by global tools. Note that some projects might require more steps depending on the options selected when the project was created and modifications made to the project. Azure App Service will start deploying .NET Core 2.1.0-rc1 with the next week or so. In the meantime you can still deploy apps using ASP.NET Core 2.1.0-rc1 by deploying as stand-alone applications. This release primarily contains refinements and bug fixes to the features we shipped in earlier previews, but there are a couple of new features and enhancements worth calling out. You can find a complete list of the features and enhancements in this release in the release notes. The new Razor Class Library project template makes it easy to build reusable Razor UI class libraries. Razor class library projects are already setup with the Razor SDK to enable building Razor files (.cshtml) like MVC views and Razor Pages. You can also create Razor class library projects in Visual Studio from the "New ASP.NET Core Web Application" dialog. You can now derive from WebApplicationFactory to create a custom factory that configures the HttpClient by overriding ConfigureClient. This enables testing scenarios that requrie specific HttpClient configuration, like adding specific HTTP headers. We also update the default environment setup by the WebApplicationFactory to be development to simplify scenarios like accessing user secrets and other development resources. Thank you for trying out ASP.NET Core 2.1.0-rc1! Assuming everything goes smoothly with this release we should have a stable release of ASP.NET Core 2.1 shortly. If you have any questions or find any issues with this release please let us know by filing issues on GitHub.